ABS brakes, Compass, Electronic Stability Control, Illuminated entry, Low tire pressure warning, Remote keyless entry, Traction control. Priced below KBB Fair Purchase Price! Odometer is 3965 miles below market average! 2015 Ford F-150 XLT Tuxedo Black Metallic 4WD 6-Speed Automatic Electronic EcoBoost 3.5L V6 GTDi DOHC 24V Twin TurbochargedAwards:* NACTOY 2015 North American Truck of the Year * Green Car Journal 2015 Green Car Technology Award * 2015 KBB.com Brand Image AwardsBased on 2017 EPA mileage ratings. Use for comparison purposes only. Your mileage will vary depending on how you drive and maintain your vehicle, driving conditions and other factors.Welcome to the all new Castle Ford Lincoln of Michigan City Indiana Castle Ford Lincoln is the Automotive Home for Ford Lincoln Drivers in Portage, Valparaiso, Hammond, Gary, Chesterton, LaPorte and Michigan City, IN. Here at the all new Castle Ford Lincoln, we always strive to deliver a first-class car-shopping experience to Ford Lincoln drivers throughout Portage, Valparaiso, Hammond, Gary, Chesterton, LaPorte and Michigan City, IN. We make that possible by providing a stunning collection of vehicles, hassle-free financing and high-quality service and repairs. That's how we're able to serve as the one-stop shop for buying, financing and servicing Ford Lincoln cars suvs and Trucks. ! **LIKE NEW, **A MUST SEE, **LOW MILES, ONLY 17277, **NAVIGATION, **PANORAMIC SUNROOF, **REAR BACK-UP CAMERA, **LIKE NEW TIRES, **HARD TO FIND, Premium Wheels, Keyless Entry, THE ALL NEW CASTLE FORD LINCOLN, Navigation System. Priced below KBB Fair Purchase Price! Odometer is 53350 miles below market average! 2014 Lincoln MKS Ingot Silver Metallic FWD 6-Speed Automatic with Select-Shift 3.7L V6 Ti-VCT 24V19/28 City/Highway MPGWelcome to the all new Castle Ford Lincoln of Michigan City Indiana Castle Ford Lincoln is the Automotive Home for Ford Lincoln Drivers in Portage, Valparaiso, Hammond, Gary, Chesterton, LaPorte and Michigan City, IN. 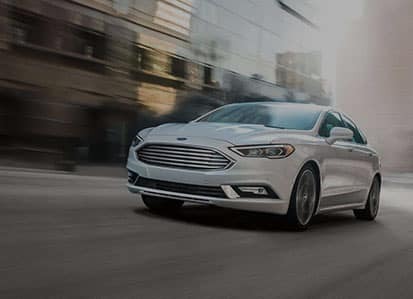 Here at the all new Castle Ford Lincoln, we always strive to deliver a first-class car-shopping experience to Ford Lincoln drivers throughout Portage, Valparaiso, Hammond, Gary, Chesterton, LaPorte and Michigan City, IN. We make that possible by providing a stunning collection of vehicles, hassle-free financing and high-quality service and repairs. That's how we're able to serve as the one-stop shop for buying, financing and servicing Ford Lincoln cars suvs and Trucks. ! **LIKE NEW, **A MUST SEE, **LOW MILES, ONLY 19053, **REMOTE START, **POWER SUNROOF, **REAR BACK-UP CAMERA, **LIKE NEW TIRES, Keyless Entry, THE ALL NEW CASTLE FORD LINCOLN. Priced below KBB Fair Purchase Price! Odometer is 16478 miles below market average! 2016 Chevrolet Malibu Premier Black Metallic FWD 8-Speed Automatic 2.0L 4-Cylinder DGI DOHC VVT Turbocharged22/33 City/Highway MPGAwards:* 2016 IIHS Top Safety Pick+ with optional front crash prevention * 2016 IIHS Top Safety Pick+ * 2016 KBB.com 10 Most Awarded Cars * 2016 KBB.com 16 Best Family Cars * 2016 KBB.com Best Buy Awards Finalist * 2016 KBB.com 10 Best Sedans Under $25,000 * 2016 KBB.com 10 Most Comfortable Cars Under $30,000Welcome to the all new Castle Ford Lincoln of Michigan City Indiana Castle Ford Lincoln is the Automotive Home for Ford Lincoln Drivers in Portage, Valparaiso, Hammond, Gary, Chesterton, LaPorte and Michigan City, IN. Here at the all new Castle Ford Lincoln, we always strive to deliver a first-class car-shopping experience to Ford Lincoln drivers throughout Portage, Valparaiso, Hammond, Gary, Chesterton, LaPorte and Michigan City, IN. We make that possible by providing a stunning collection of vehicles, hassle-free financing and high-quality service and repairs. That's how we're able to serve as the one-stop shop for buying, financing and servicing Ford Lincoln cars suvs and Trucks. ! **LIKE NEW, **A MUST SEE, **LOW MILES, ONLY 28003, **LIKE NEW TIRES, Keyless Entry, THE ALL NEW CASTLE FORD LINCOLN, High Pressure Tires Tracking, Quick Order Package 23H. Priced below KBB Fair Purchase Price! Odometer is 9318 miles below market average! 2015 Jeep Grand Cherokee Limited granite crystal metallic clearcoat 4WD 8-Speed Automatic 3.6L V6 24V VVTAwards:* Green Car Journal 2015 Green SUV of the YearBased on 2017 EPA mileage ratings. Use for comparison purposes only. Your mileage will vary depending on how you drive and maintain your vehicle, driving conditions and other factors.Welcome to the all new Castle Ford Lincoln of Michigan City Indiana Castle Ford Lincoln is the Automotive Home for Ford Lincoln Drivers in Portage, Valparaiso, Hammond, Gary, Chesterton, LaPorte and Michigan City, IN. Here at the all new Castle Ford Lincoln, we always strive to deliver a first-class car-shopping experience to Ford Lincoln drivers throughout Portage, Valparaiso, Hammond, Gary, Chesterton, LaPorte and Michigan City, IN. We make that possible by providing a stunning collection of vehicles, hassle-free financing and high-quality service and repairs. That's how we're able to serve as the one-stop shop for buying, financing and servicing Ford Lincoln cars suvs and Trucks. ! **LIKE NEW, **LOW MILES, ONLY 26446, **HEATED FRONT SEATS, **REMOTE START, **POWER SUNROOF, **REAR BACK-UP CAMERA, **LIKE NEW TIRES, Keyless Entry, THE ALL NEW CASTLE FORD LINCOLN, Equipment Group 200A, Wheels: 19 Polished Machined-Aluminum. 2017 Lincoln MKZ Select Magnetic Gray Metallic FWD 6-Speed Automatic with Select-Shift 2.0L GTDi21/31 City/Highway MPGWelcome to the all new Castle Ford Lincoln of Michigan City Indiana Castle Ford Lincoln is the Automotive Home for Ford Lincoln Drivers in Portage, Valparaiso, Hammond, Gary, Chesterton, LaPorte and Michigan City, IN. Here at the all new Castle Ford Lincoln, we always strive to deliver a first-class car-shopping experience to Ford Lincoln drivers throughout Portage, Valparaiso, Hammond, Gary, Chesterton, LaPorte and Michigan City, IN. We make that possible by providing a stunning collection of vehicles, hassle-free financing and high-quality service and repairs. That's how we're able to serve as the one-stop shop for buying, financing and servicing Ford Lincoln cars suvs and Trucks. ! AWD, PANORAMIC SUNROOF, NAVIGATION, BACK UP CAMERA, HEATED SEATS, COOLED SEATS, LEATHER!!! CASTLE FORD/LINCOLN HAS IT!!! This 2016 Lincoln MKC Reserve is ready to get back out on the open road!! This ride comes to you in a sleek Gray Metallic exterior that is the perfect match for the ebony interior that comes with leather seating throughout!! Worried about getting out of tight spaces?! Worry no more this ride comes with a back up camera!! Worried about getting lost?! Worry no more this ride comes with a built in navigation system!! Looking for a nice breeze?! Look no further this ride comes with a panoramic power sunroof!! Winter will be a breeze with the AWD capabilities as well as heated front seats and remote vehicle starter!! Power windows power door locks, power mirrors, bluetooth connection and a keyless entry are all coming standard!!!! Do not wait, hurry on down to Castle Ford/ Lincoln at 3930 Franklin St. Michigan City, IN 46360 and scoop up this beauty while it is still here!!!! You may also contact one of our fine sales representatives at (219) 243-7272!!!! **REMAINDER OF FACTORY WARRANTY, **LIKE NEW, **A MUST SEE, **LOW MILES, ONLY 2767, **HEATED FRONT SEATS, **REMOTE START, **POWER SUNROOF, **REAR BACK-UP CAMERA, **LIKE NEW TIRES, **HARD TO FIND, Keyless Entry, THE ALL NEW CASTLE FORD LINCOLN. Odometer is 5639 miles below market average! 2018 Lincoln MKZ Select Iced Mocha Metallic AWD 6-Speed Automatic with Select-Shift 2.0L I420/28 City/Highway MPGWelcome to the all new Castle Ford Lincoln of Michigan City Indiana Castle Ford Lincoln is the Automotive Home for Ford Lincoln Drivers in Portage, Valparaiso, Hammond, Gary, Chesterton, LaPorte and Michigan City, IN. 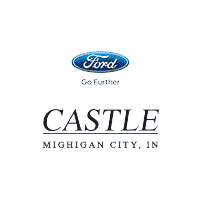 Here at the all new Castle Ford Lincoln, we always strive to deliver a first-class car-shopping experience to Ford Lincoln drivers throughout Portage, Valparaiso, Hammond, Gary, Chesterton, LaPorte and Michigan City, IN. We make that possible by providing a stunning collection of vehicles, hassle-free financing and high-quality service and repairs. That's how we're able to serve as the one-stop shop for buying, financing and servicing Ford Lincoln cars suvs and Trucks. !